Looking for some recommendations for weekend listening? Check out these award winning stories from NPR. 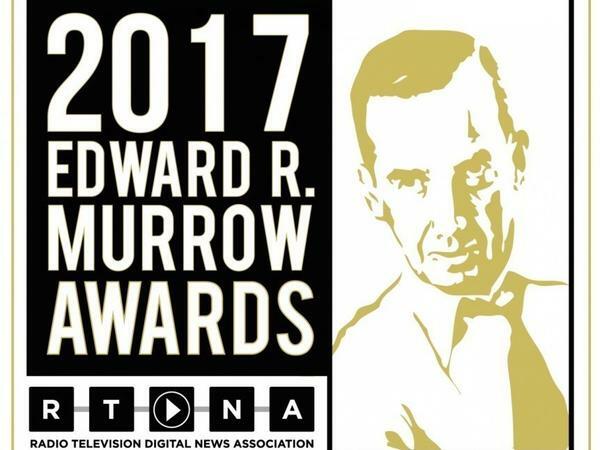 The 2017 Edward R. Murrow Awards were announced this week and NPR won several for feature reporting, excellence in innovation and continuing coverage. Howard Berkes, Robert Little and Nicole Beemsterboer of the NPR Investigations Unit received a "Feature Reporting" award for the story on the Challenger Shuttle engineer. Steve Drummond, Cory Turner, LA Johnson, Anya Kamenetz, Elissa Nadworny, Claudio Sanchez, Acacia Squires, Eric Westervelt, Sami Yenigun, Gabrielle Emanuel of the NPR Ed team won the "Excellence in Innovation" award. Check out one of their special series "50 Great Teachers." Chris Arnold, Robert Smith, Elizabeth Kulas, Neal Carruth, Uri Berliner, Bryant Urstadt, and Alex Goldmark of the Business Desk and Planet Money team won a "Continuing Coverage" award for the special series investigating the Wells Fargo Scandal. See all 2017 award recipients, and congratulations to these talented journalists.